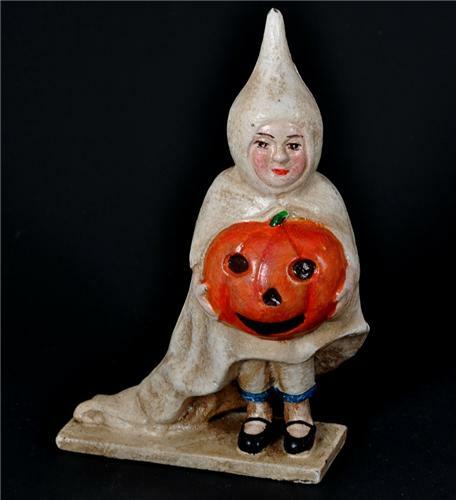 This is an adorable Cast Iron Halloween Girl Ghost & Pumpkin Coin Bank. The painted cast iron colors are nice and vivid yet with the antiquish vintage cast iron appearance. This piece captures the Old & Early Antique Primitive and Vintage Presentation! One of the nicest cast iron specialties we've seen! This item will ship USPS Priority Mail for Faster Delivery to You!